In the geothermal energy sector, fluids are mostly sampled occasionally and manually. Especially in countries abroad, many geothermal surface manifestations like natural hot springs are situated in remote areas with restricted access causing a significant effort for sampling. The concentration of the solutes in the analysed fluid is not always reflecting its true chemical composition due to inappropriate sampling or inadequate sample storage before sending the sample to the laboratory. However, taking a duplicate sample is seldomly done due to time and money constraints. 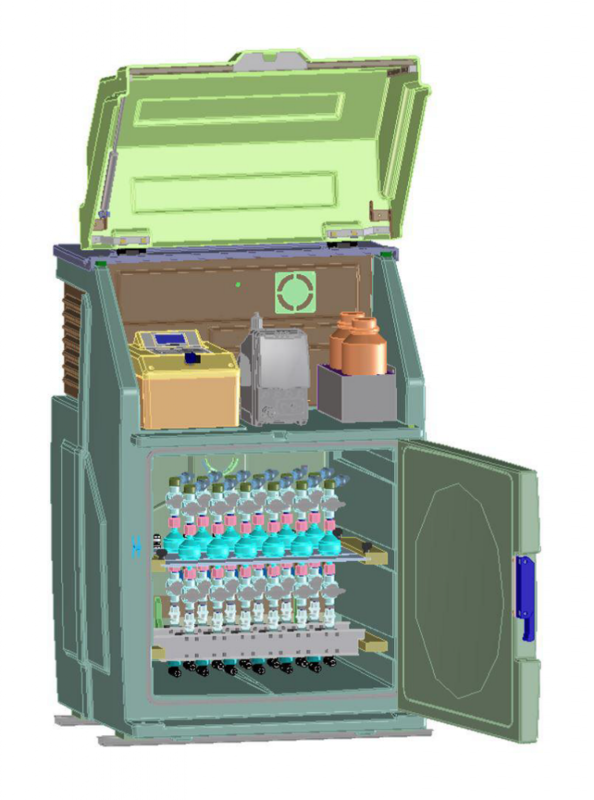 A reliable sampling and sample storage as basis for reliable results is getting more and more important, also for geothermal projects in Germany where the mining authorities of some federal states request a groundwater monitoring in the surrounding of deep geothermal projects. 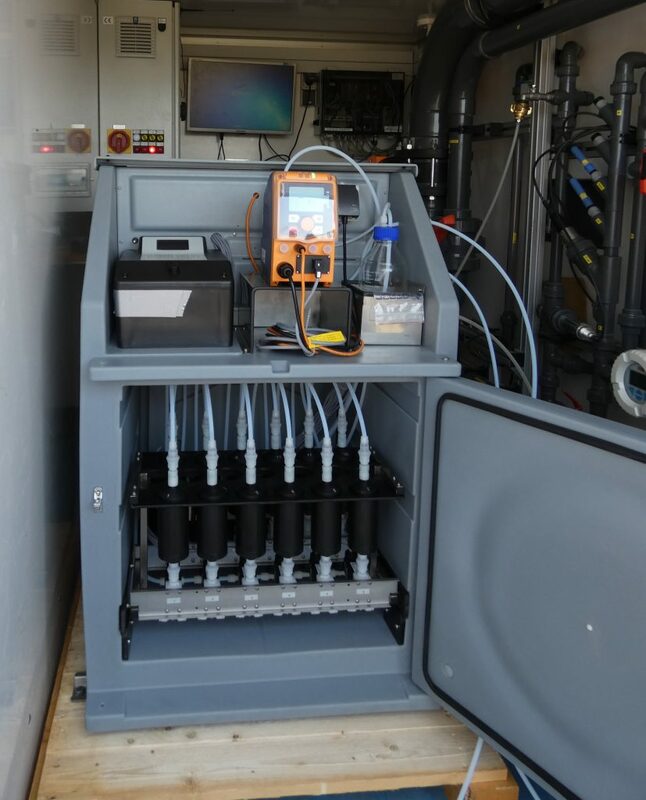 This was the reason to develop an innovative automated device for periodic sampling of fluids from springs and groundwater wells within the so called “GeoTief” project, implemented on behalf of the German Federal Ministry for Economic Affairs and Energy (BMWi) and funded by the Central Innovation Programme for SMEs (ZIM). The regular sampling intervals of the GEO AFS can be programmed specifically to the individual needs or event-triggered in case a pre-defined threshold value (e.g. temperature or electric conductivity measured in the attached flow-through cell) is exceeded.